Why has the UK done so? The simple answer is the marriage of the widespread dissatisfaction of the British people to copious Brexit illusions. One illusion was that the meaning of Brexit was obvious. In practice, it could cover anything from a high degree of integration to very little. The decision to leave did not determine the destination. Another illusion was that Brexit could mean unbridled sovereignty. In practice, the deeper is a trading relationship, the more it must compromise with its trading partners on the exercise of national sovereignty. If the UK negotiates trade deals with the US, China or India, it will also be forced to accept many limitations on its sovereignty. A further illusion is that it would be easy for the UK to trade on the terms laid down by the World Trade Organization. In practice, a no-deal exit would worsen the terms of access to markets that account for about two-thirds of total UK trade. Yet another illusion is that the WTO covers most of the things the UK cares about. Alas, it does not. What it fails to cover includes road haulage, aviation, data, energy, product testing, including of medicines, fisheries, much of financial services and investment. It was a dangerous illusion to suppose that it would be simple to strike a trade deal with the EU, because we started from full convergence. The opposite is true. The UK is leaving in order to diverge. Such divergence is precisely what EU rules exist to prevent. The EU would never allow a country the right both to benefit from EU rules and to diverge from them, at its discretion. A really big illusion was that if the UK were tough with the EU, the latter would come swiftly to terms. But, as Ivan Rogers, former UK permanent representative to the EU, argues, the EU would not — partly because preservation of the EU is, naturally, the EU’s dominant priority, and partly because the EU is sure the UK would be back the day after that no-deal Brexit. It is surely right on that. So right now, parliament faces a choice between the impossible — no deal — and the horrible — the prime minister’s deal. If accepted, the latter would be followed by years of painful trade negotiations, with, at present, no agreed destination. At the end, the UK would be worse off than under membership of the EU. Its people would be as divided and dissatisfaction would remain as entrenched as they are today. Is there a better way than this? Yes. It is to ask, once again, whether the people want to leave, now that the reality is clearer. There should be a second vote. Some will argue that this would be undemocratic. Not so. Democracy is not one person, one vote, once. If democracy means anything, it is the right to change a country’s mind, especially given the low and dishonest referendum campaign. It is nearly three years since that vote. Much has happened since then, in both the negotiations and the world. As Ngaire Woods of the Blavatnik School of Government has noted, since 2016 Donald Trump has been assaulting the EU and the WTO, western relations with China have become more problematic and the extent of Mr Putin’s assault on our politics have become more obvious. This is not a time for Europe to inflict the wound of Brexit on itself. If, as seems plausible, parliament cannot stomach the vassalage of the prime minister’s deal, then the sane options are to ask for a lengthy extension of departure or, better, to withdraw the Article 50 application altogether. Both would give the time needed to discuss how to organise such a referendum. Mrs May’s suggestion of a direct vote on no deal might get us there. It is now clear that the UK has no consensus on Brexit, but only division and confusion. In order to get her bad deal through, the prime minister has been reduced to threatening parliament with something worse. That is mad. If a country finds itself doing something sure to damage itself, its neighbours and the fragile cause of liberal democracy on its continent, it needs to think again. Now is the last chance to halt the journey to ruin. It is parliament’s duty to do so. Amid a stunning increase in anti-Semitic violence in the past year, France is debating whether the yellow vest protests are to blame. President Emmanuel Macron is trying to tackle the problem, but hatred and indignation are rampant in the country. He had hoped, said French President Emmanuel Macron with a heavy voice last Wednesday evening, that "this dinner would take place in a cheerful context." Wearing a dark suit and a serious expression, he stood in front of a podium in the Carrousel du Louvre, an underground shopping mall near the Louvre museum. CRIF, the umbrella association of Jewish organizations in France, had invited Macron for their annual dinner. It could have been just one event among many for the French president, whose agenda is always packed. But it didn't turn out that way. Quite the contrary. And then there are the recent events: Only a few days before the event near the Louvre, a man shouted at philosopher Alain Finkielkraut on the street, saying that he was a "filthy Jew," that he belonged to a "filthy race" and that he should "go back to Tel Aviv." The man who yelled at Finkielkraut was wearing a yellow vest. Then a Jewish cemetery in Alsace was desecrated as was, though it wasn't yet known by the time of the dinner, another cemetery near Lyon, where someone wrote "Shoa blabla" on a memorial. Meanwhile, the portrait on the 13th Arrondissement town hall of Simone Veil, the Holocaust survivor and former European Parliament president, was daubed with black swastikas. And someone sprayed "Jews" on the window of a bagel shop. In his speech to the members of the Jewish organizations, Emmanuel Macron said: "For the last several years, anti-Semitism has once again been killing people in France." Then he listed, one after the other, the names of the people who had been murdered in France in recent years because they were Jewish. But a debate has emerged about whether the yellow vests are per se anti-Semitic, whether they are responsible for this new wave of violence. And the likely answer to that question is: They aren't any more responsible nor are they any more anti-Semitic than the rest of the French. Or, for that matter, than the Germans or the Austrians. "I am shocked how much hatred there currently is in our country," says Denis Peschanski, a historian who researches historical commemoration. In his view, French anti-Semitism is always in the background, but in pushes its way forward in times of crisis. And it thrives, he says, in an environment where conspiracy theories are plentiful. And this is where the yellow vests play a role, because, no matter how diverse they may be, the movement's combined force has paved the way, both verbally and physically, for these acts of violence. What is new, though, is the unrestrained nature of the hatred. And then there's the lawmaker who threatened Macron by saying the president would end up like Kennedy if he didn't change his policies. We are essentially witnessing a collective breaking of taboos. "A Clockwork Orange" in French. These newly blurred boundaries are also palpable within the yellow vest movement. After nurse Ingrid Levavasseur, a kind of figurehead for the movement, wanted to run in the European Parliament elections with her own list of candidates, she was so harshly insulted and threatened that she withdrew her candidacy. "Dirty whore!" one person yelled at her. "Go get raped!" And it isn't just insults and complaints. The Arc de Triomphe was graffitied. Someone peed on the barrier protecting the French National Assembly. Hatred of the bank on the corner leads to its windows being shattered, and the same happens to the shoe store across the street. Peschanski, the historian, connects these transgressions to two things: the presidential election in 2017 -- which Emmanuel Macron won against all expectations, making him quasi-illegitimate in the eyes of many -- and to the populism that has become rampant across Europe. Emmanuel Macron is trying in his own way, by travelling to remote corners of the country and talking to people, whether they are local politicians, students or retirees. He has decreed a "great debate" for the country, which sometimes seems akin to national group therapy. He listens to the complaints, takes down criticisms and then responds to them. But Macron can't be everywhere, and he has no alternative to offer the senseless, those who believe that nothing can be accomplished without violence. Many in France, including people who don't take part in the yellow vest protests, believe that these weaker elements of France never would have heard from him had the yellow vests not revolted. This is partly Macron's fault. He didn't respond until quite late, when the violence had boiled over. Now, he is trying to calm down the situation and to pursue reconciliation. In his talk at the dinner, he said that he had been "ashamed" when he visited the desecrated Jewish cemetery in Alsace. Anti-Semitism, Macron said, isn't a problem for the Jews, but a problem for the republic. When his speech ended, the audience applauded. The group's chairman, Francis Kalifat, strode on stage to thank him. First, he shook the president's hand, then suddenly took his arm, grabbed it and held it up, like a boxing champion. It was a gesture of desperation. 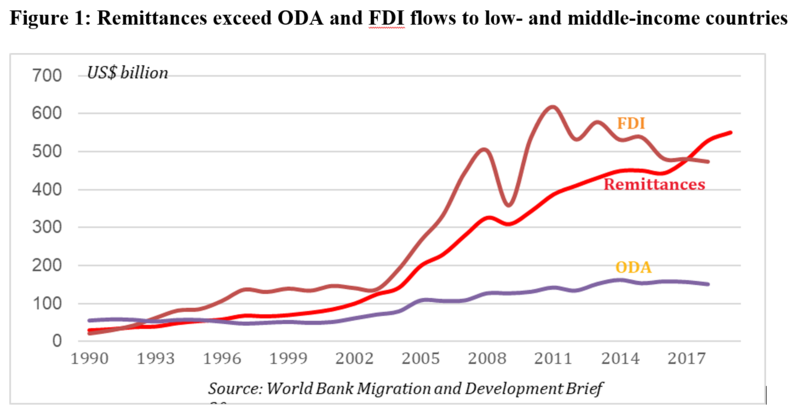 World Bank data show that migration flows are increasing – a trend that is set to continue. 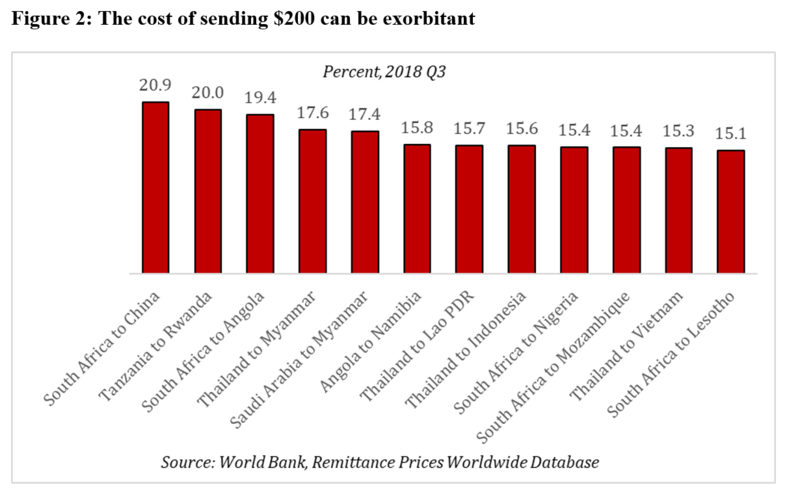 Fragmented migration policies shaped by popular myths cannot manage this process effectively, much less seize the opportunities to spur development that migration creates. 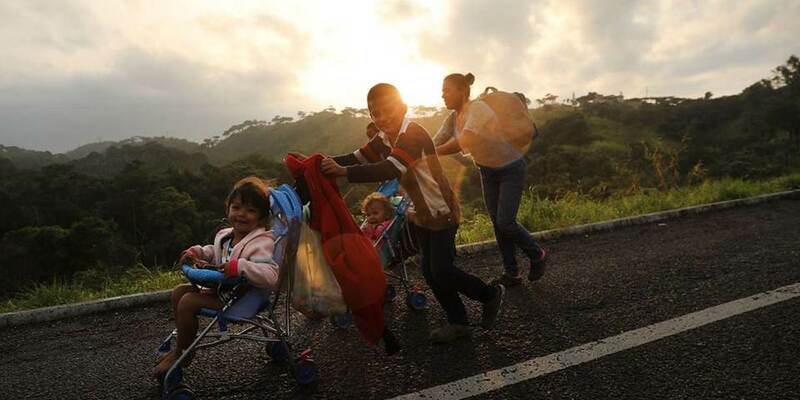 WASHINGTON, DC – On December 19, 2018, the United Nations General Assembly voted to adopt the Global Compact for Safe, Orderly and Regular Migration, with 152 votes in favor, five votes against, and 12 abstentions. Supporters hailed the Compact as a step toward more humane and orderly management of migration, yet opposition remains formidable.